DAY 1: Mecca, a city in western Saudi Arabia that is revered by Muslims as a holy city. 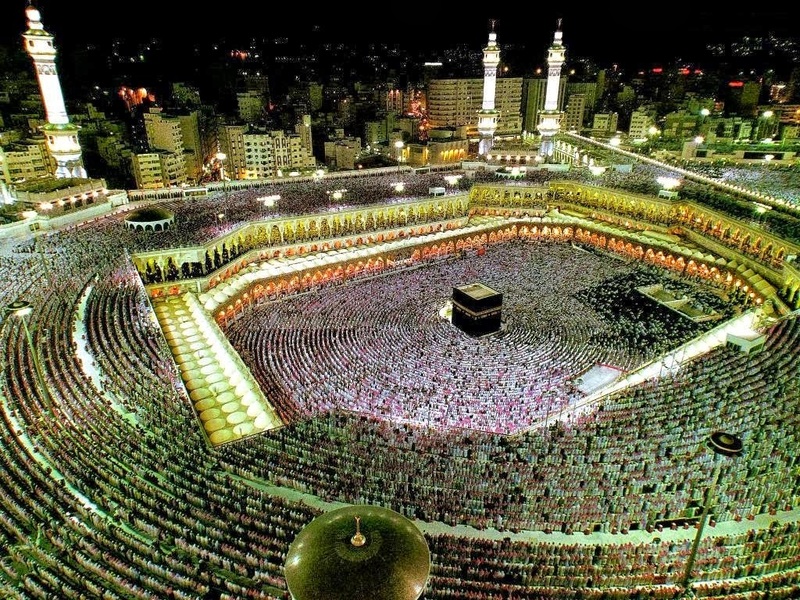 A pilgrimage to Mecca is required of all Muslim believers who can afford the trip. A pilgrimage is a religious journey. For Christians, going to Jerusalem or Bethlehem would be a pilgrimage. Mohammad is very important to Muslims. He is the founder of Islam which is the name of the religion Muslims follow. 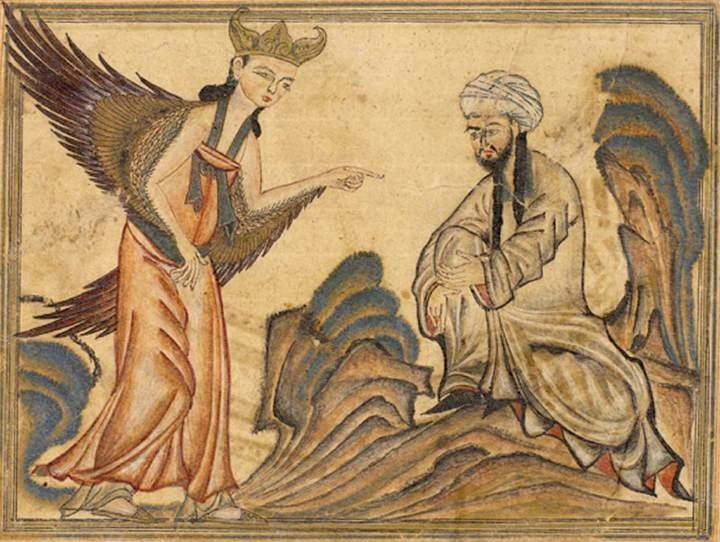 When he was forty years old, Muslims believe, he was visited by the angel Gabriel while meditating in a cave on Mount Hira outside of Mecca and told, "Recite!" The words in the Koran, which is the Muslim's holy book, are the words that Muslims believe were told to Mohammad and recited by him. DAY 2: For Muslims, Hajj --a pilgrimage to Mecca is required as one of their five pillars of the faith. 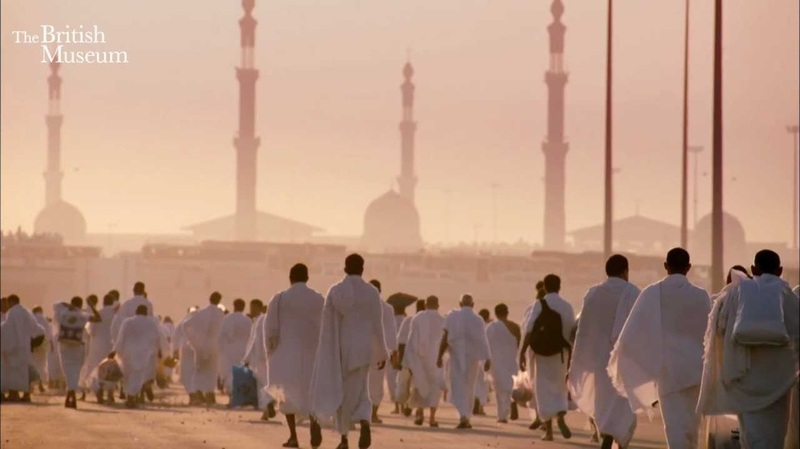 Only Muslims are allowed in the holy cities of Mecca and Medina, and every year about two million gather for the major pilgrimage. 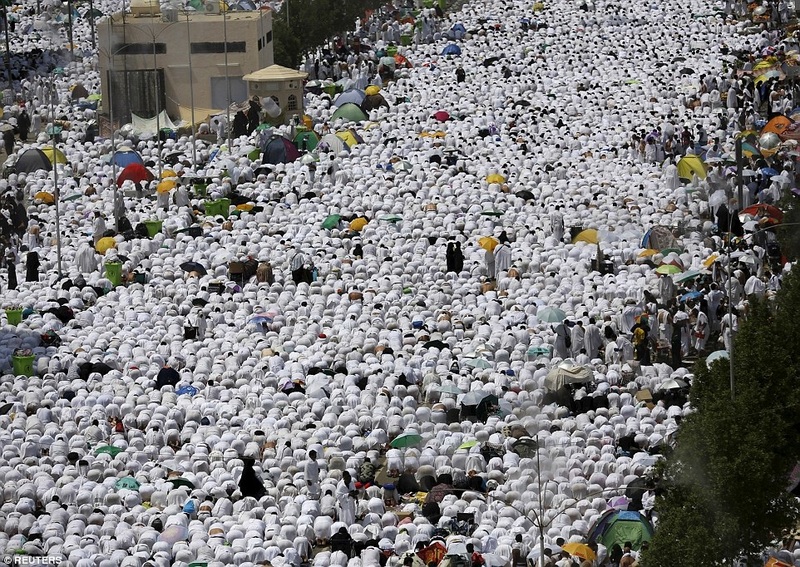 Pilgrims spend five days praying both in Mecca and the surrounding desert. In order to be closer to God, they wear simple clothes, aren't allowed to argue and perform rituals such as throwing stones at pillars to symbolise rejecting evil. 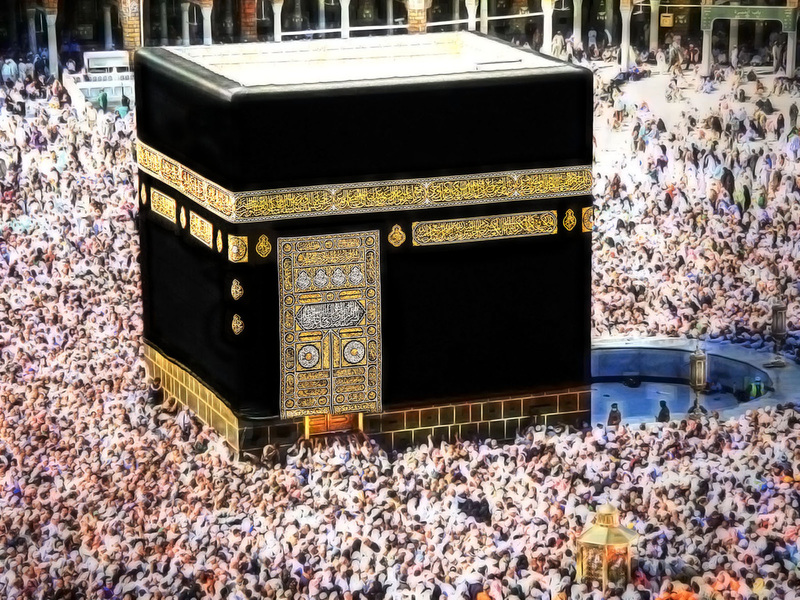 DAY 3: The focal point of Mecca is the Kaaba, the "House of God," believed by Muslims to have been originally built by Abraham and his son Ishmael, and which is covered in black fabric. Pilgrims circle the Kaaba seven times and try to touch or kiss the stone. 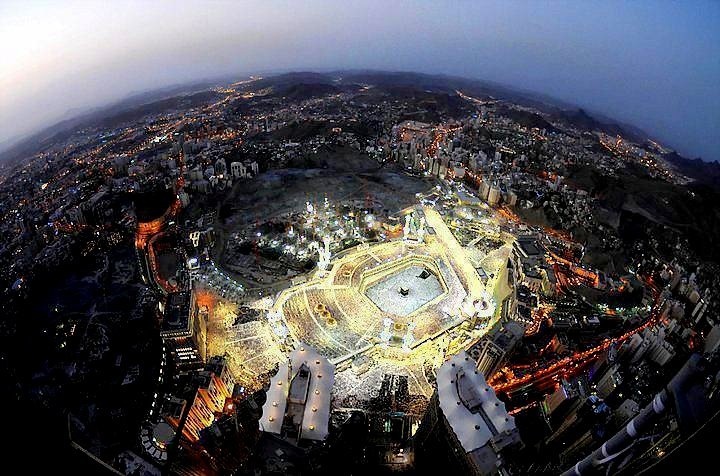 The importance of Mecca for Muslims is inestimable. In addition to the pilgrimage, it is also the direction they face while praying five times a day. 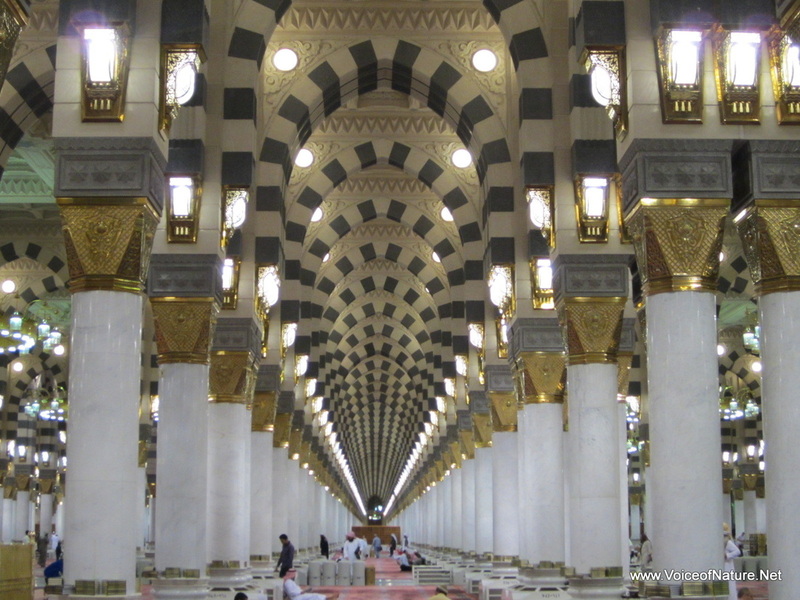 DAY 4: "The Holy Mosque," also known the Haram, in Mecca is the holiest mosque in the world. The word "mosque" is what Muslims call their place of worship. 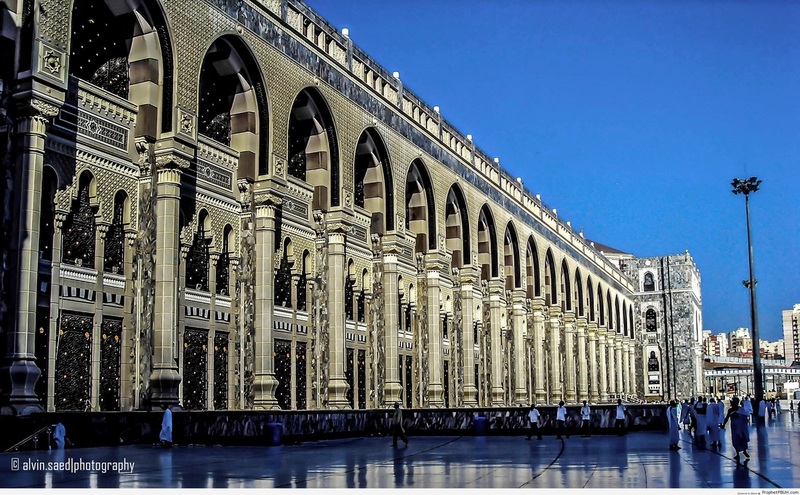 The Haram is the primary destination of the Hajj pilgrimage. 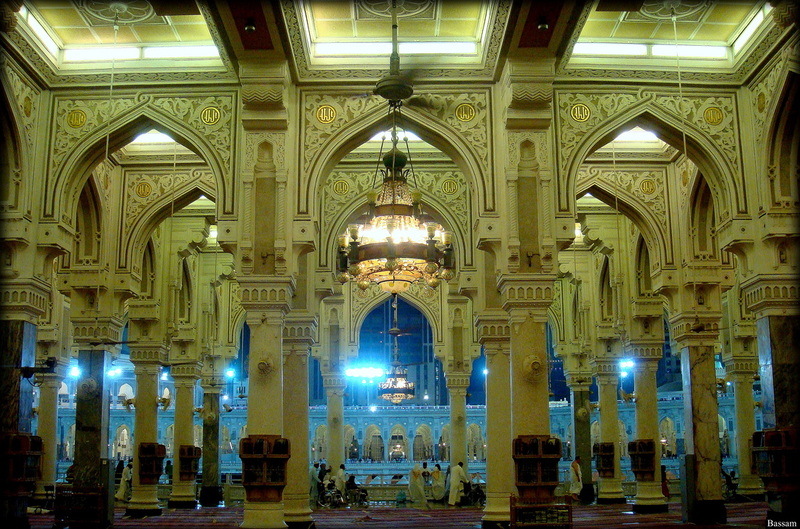 The mosque complex can accommodate up to 820,000 worshippers during the Hajj. 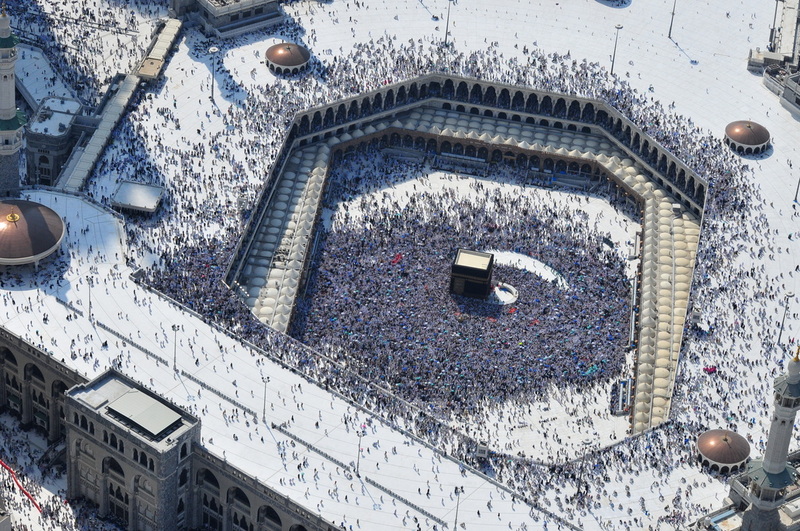 The Kaaba is in the center courtyard of the Haram. 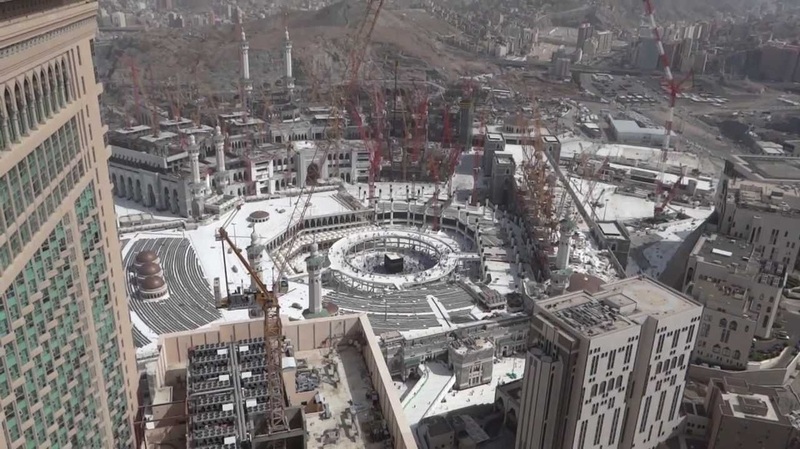 Plans are underway to enlarge the Haram to hold 10 million worshippers. 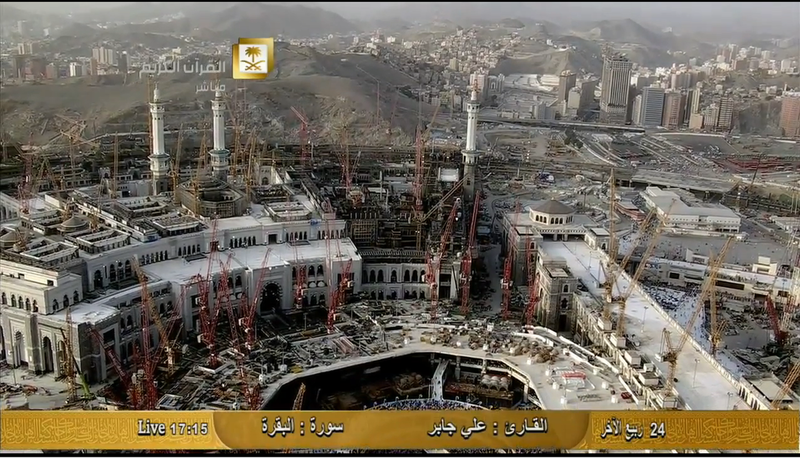 There have been many projects to expand the capacity of the Grand Mosque, but the latest one will be the largest. It will increase the size of the mosque to 500,000 square meters, doubling its current size. 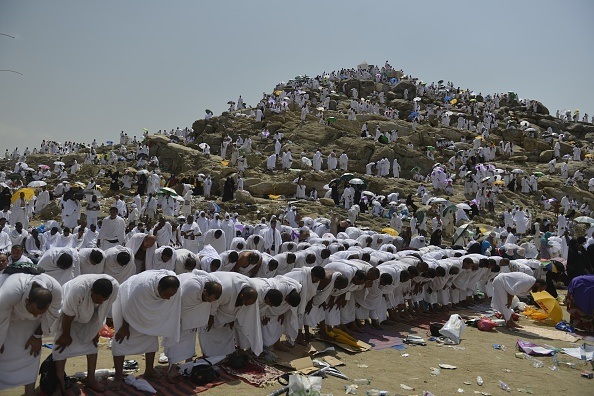 DAY 5: Mount Arafat is also in Mecca and is another site visited by Muslims as part of the Hajj. 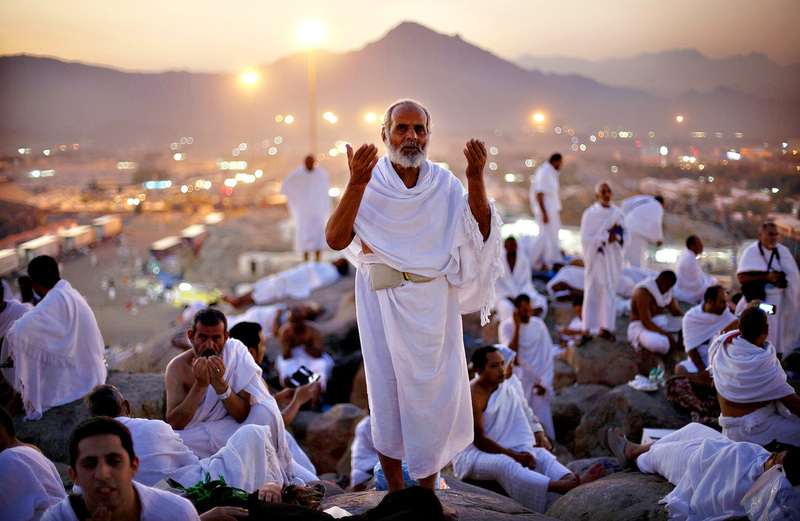 The climb at Arafat is required from every able-bodied Muslim at least once in their lifetime. Mount Arafat is not very tall at all, but it is quite a long walk to get there. 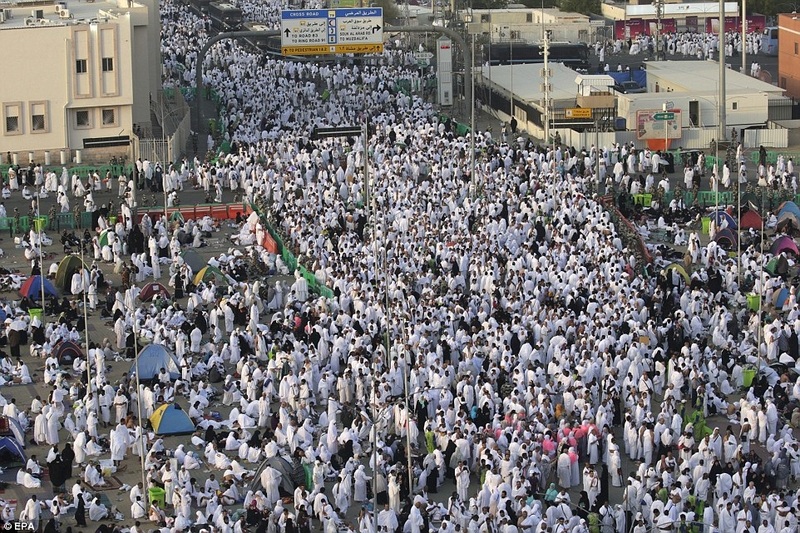 Hajj does not allow for Muslims to ride in a vehicle to Mount Arafat. It's the site where Muslims believe Muhammad delivered his farewell sermon. Charities and vendors along the way handed out food packages and umbrellas to shield the climbers from the harsh sun. 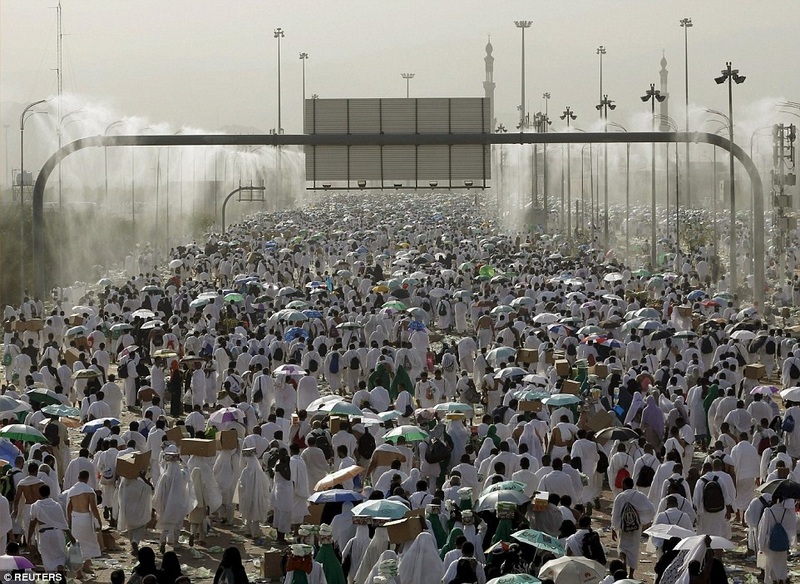 Water vapour sprays down from metal pipes to cool the crowds of tens of thousands of Muslims during their day of prayers at Arafat.